A Bank Holiday weekend or a few days off work provides the perfect opportunity to escape for a mini-break. However, are three/four days really long enough for a holiday abroad? Perhaps not. That's why we are checking out the best cities for the best city weekend getaway. City getaways are an easy and exciting solution for those precious few days off. Sometimes a break in routine, or even simply a change of scenery, is all you need for a refresh and reboot. We have been looking around for the perfect city break to report back to our readers. This time, our ventures have led us to the beautiful Romanesque City of Bath. Bath really does have something for everyone, from the Victoria Falls Adventure Golf which is amazing for all ages (we tell you this first hand) to The Wreck, hosting Baths almighty rugby team. 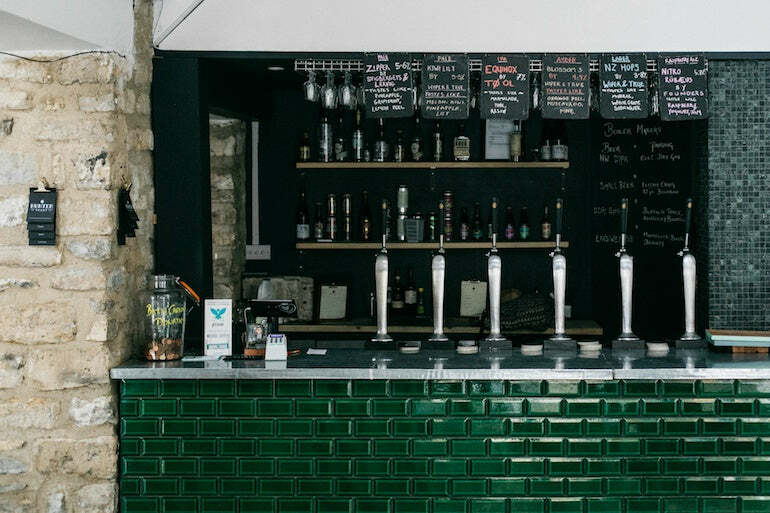 We visited some of Bath's local's and tourist's favourite haunts to discover the Cities most loved destinations and best kept secrets. Ok, so The Roman Baths might not be that secret, however, there are still plenty of hidden secrets that have been and are yet to be found within. This busy attraction has captured the hearts of tourists and locals alike. 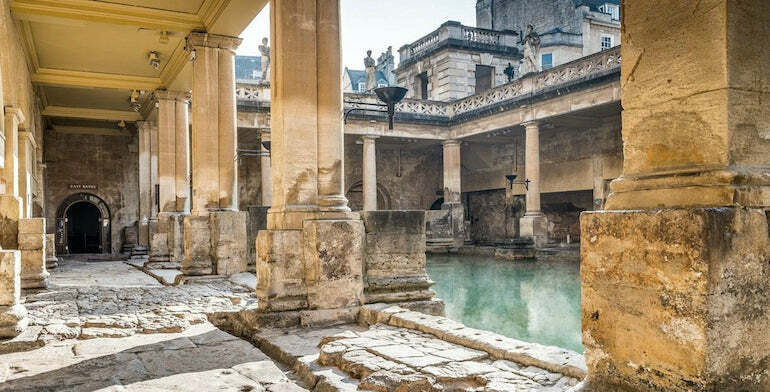 Tourists come from afar to witness where the Romans once bathed whilst worshipping the Goddess Sulis Minerva (Roman Goddess of wisdom and health), and locals are fascinated to see the ruins which have been revealed under the streets they walk and live. The Roman Baths host something for everyone, so if you're a family man you don't have to rule this one off of your agenda. The Bath's have found a way to include everyone; children can interact with the real life Roman characters, sharing stories and ancient objects whilst men can flaunt their strength on the demonstrative stone pullies. The Bath's host The Pump Room- a much-loved 18th-century themed room offering coffees, cakes and their characteristic three-tiered afternoon tea. If this isn't enough, venture to the Roman Bath's Kitchen for a full on West County dining experience. Of course, there is the highly anticipated gift shop for you to stock up on Roman coins and bath salts to last you the next century. There is something substantially sentimental about walking the paths where the Romans once did, so if you go to Bath to do anything, go to relive the history that lives on through its remains. Head over to their website to see what you can discover at The Roman Baths. Every city-goer should have a recommended go-to place to get their fill of life's three essentials: breakfast, coffee and beer. So, if you take away anything from this guide, let it be the discovery of Hunter & Sons. NB: You can't actually take anything away here, but trust us, you wouldn't want to anyway. 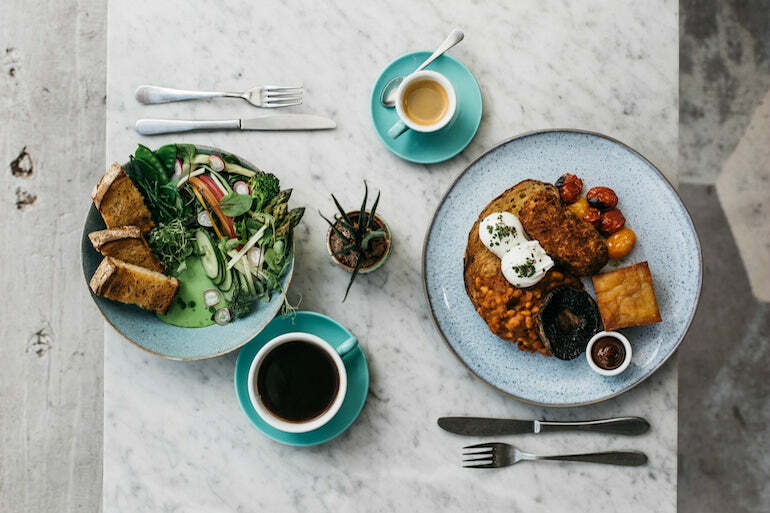 Hidden away in the depths of Milsom Place (google map it), Hunter & Sons offer the perfect selections of seasonal breakfasts, rich coffees and incredible craft beers, all under one very contemporary roof. 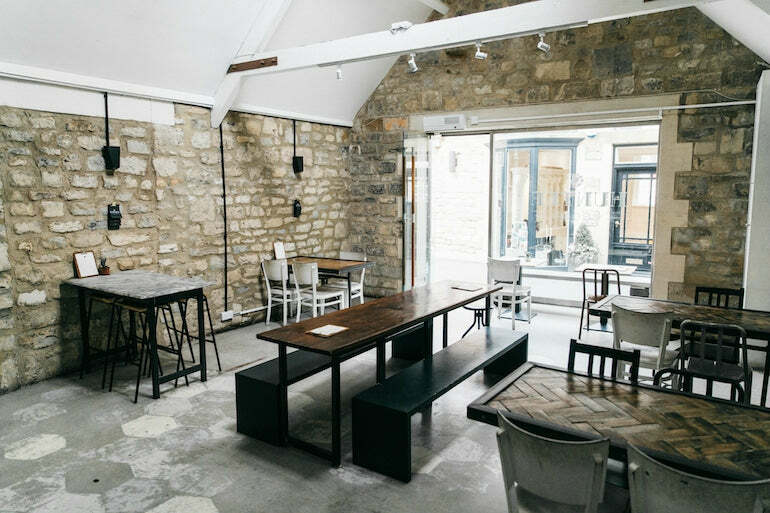 The café-styled restaurant incorporates plenty of marble and concrete into their interiors, creating a minimal and stylish hang-out for Bath's locals. Be sure to check out the coin wall and the tile wall-art; perfect demonstrations of how Hunter & Sons have added their individual creative flair to the otherwise traditional city. If you get your timings right you may find yourself sipping a pint next to a Bath rugby player - worse things have happened. Let's start with their food. It only takes a quick scroll through their Instagram to get our bellies rumbling, and who can blame us when they boast their exceptional dishes sourced from local producers all over their page. Their breakfasts are served until 4 pm, and for this we are thankful. Great food like this really shouldn't be limited to the early hours. Coffee is a life saver, much like beer (but for different reasons). Coffee contains that all important caffeine which most of us have become dependant on for daily functioning (again, much like beer). If you're going to have your daily fix of coffee, you'd be mad not to get it at Hunter & Sons. All of their coffees are seasonal, single origin and speciality grade, all traded from farmers that are able to guarantee great quality and intriguing tastes, some of which include lavender and caramel... So good! Beer, beer, beer. If you're a beer loving man, make Hunter & Sons your next stop. Their selection of beers will have you stumbling out of the door, and that's because you can't simply stop there for just one. Craft beers are the new trend, and if Hunter & Sons like it, they'll serve it. With six rotating craft beer taps and a pretty spectacular range specialist beers, you'll want to drink their bar dry, too. Check out Hunter & Sons website and add it to your bucket list...now! A city break - the clue is in the name. When you take a break it's pretty vital to actually stop, relax and revive. However, if you're exploring a new place, the thought of sitting in your hotel room with some peace and quiet probably isn't that appealing. Introducing the Thermae Bath Spa, where you don't have to compromise relaxation for sightseeing. 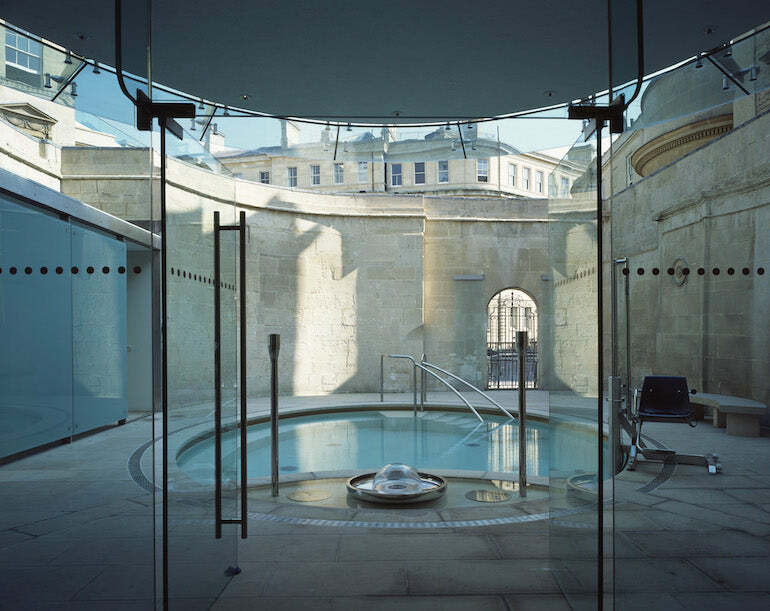 The Thermae Bath Spa is in the perfect location, and its design is a beautiful adaptation of the ancient heritage of the city. 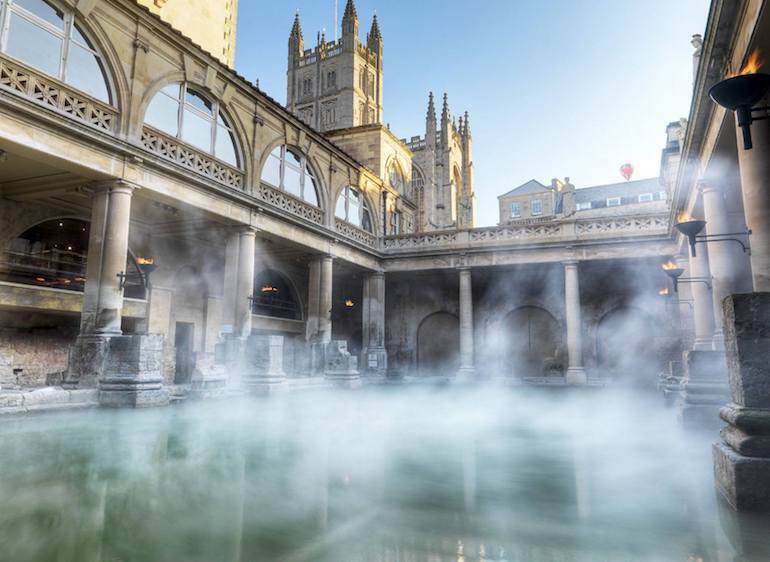 Covering an impressive 6 floors, you can spend hours in the spa and not feeling like you're missing out on what Bath has to offer - Bath is famously known for its bathing, after all. Find the Minerva pool (a reference to the Goddess Sulis Minerva) on the ground floor, the largest of their thermal baths complete with a 'lazy river', a built in jacuzzi and a massage jet. On the next floor up you'll find the changing suits where each guest receives a complimentary robe, towel and a pair of flip flops which you can take away with you. Go up another floor and you'll find the Springs Café Restaurant, the perfect stop for a cup of tea, coffee or even beer. Their menu offers a fine, and very tasty, selection of locally sourced fresh meals and snacks, all set in a Georgian-meets-classic contemporary interior. Pop in the Springs Café Restaurant mid spa (yes, it's acceptable to sit there in your robe) or after to stock up on energy and cake. Up we go again to find the wellness suite - quite possibly like nothing you've seen before. This is where the Thermae Bath Spa really hit home with Bath's heritage inspired interiors across their themed rooms. The Wellness Suite is a new, innovative feature, recently added to the spa experience. Start in the Experience Showers, decorated with Romanesque pillars, where you'll be hosed down from an overhead shower and side body jets which are bursting with oxygenated water and a lemongrass scent to awaken your senses. Move on to the Infrared Sauna, which at 55º is bound to rid you of all toxins. Breathe in the sandalwood scent whilst the heaters emit energy waves that warm you from the core outwards - a more penetrating method than a traditional sauna. Next up is the Roman Stream Room, which sure enough, reflects the Roman age as harp music plays in a room decorated with a Sulis Minerva mosaic. This being said, you won't see much of the interior as the lavender scented steam at 45º engulfs the room - bliss. Yes, there's more. The Georgian Steam Room is next, and as you may have guessed, is a clear representation of that era. Again, at 45º, the steam room is fitted with a replica fountain and window-like images of Bowood house (a grade I listed Georgian country house). Relax in this room with tea rose and jasmine scents, my personal favourite. To mix things up, step inside the Ice Chamber, a room at ambient temperature with a peppermint scent and a North wind audio. If this doesn't make you 'chill' out, grab a handful of the crushed ice to exfoliate your body or torment your partner - both fun but I'd recommend the latter. The Celestial Relaxation Room pays a nod to William Herschel who discovered Uranus from his Bath home - hold the laughter, please. Again at ambient temperature, get comfy in the heated tiled beds and take in the fibre optic panels on the walls and ceiling, the Uranus graphics on the walls, the planetary audio and the sea breeze fragrance. This room truly offers the space you deserve (pun intended). 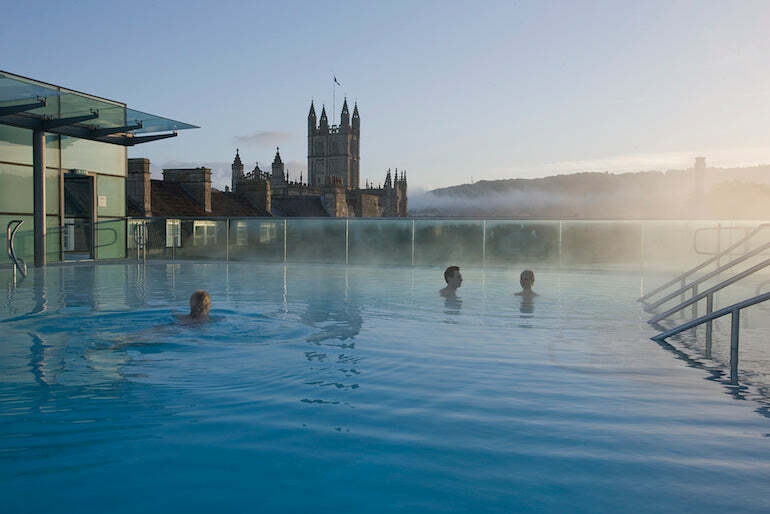 Finish your Thermae Bath Spa trip with a visit to the rooftop pool for a panoramic view of the city - an unforgettable opportunity to take in the city in the best possible way in Bath. 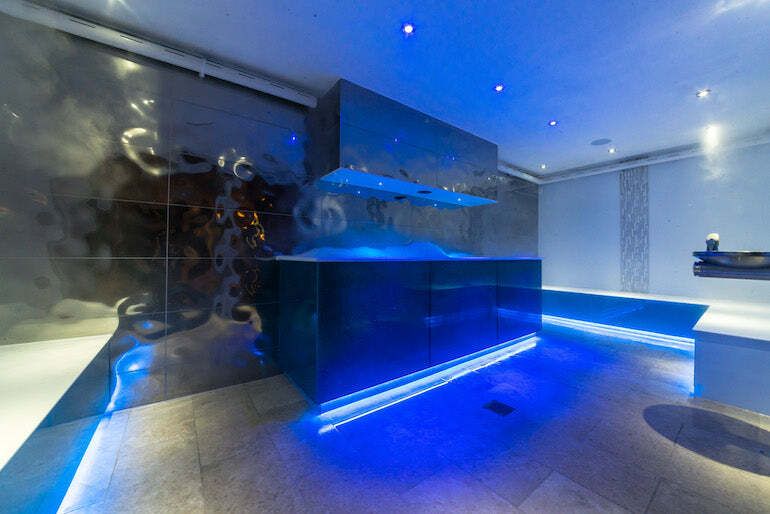 All of the baths throughout the spa are heated to 33.5º C and contain a number of enriching minerals. Be sure to check out all of the male and female treatments they offer to take relaxation to the next level. See more of what the Thermae Bath Spa has to offer on their website. When you're on a weekend getaway we would highly recommend finding yourself somewhere great to stay for a number of reasons. The first reason is that you'll most likely be exhausted. A weekend break should be a break, and as important as it is to make the most of exploring new areas, it's also essential to make sure you have some time to unwind and de-stress. This means that after a long day you'll probably want to come back to a contemporary, clean and welcoming place. The second reason is life is simply too short to stay somewhere mediocre. Take advantage of your break and book yourself a hotel that will only add to the memories you create whilst you're away. 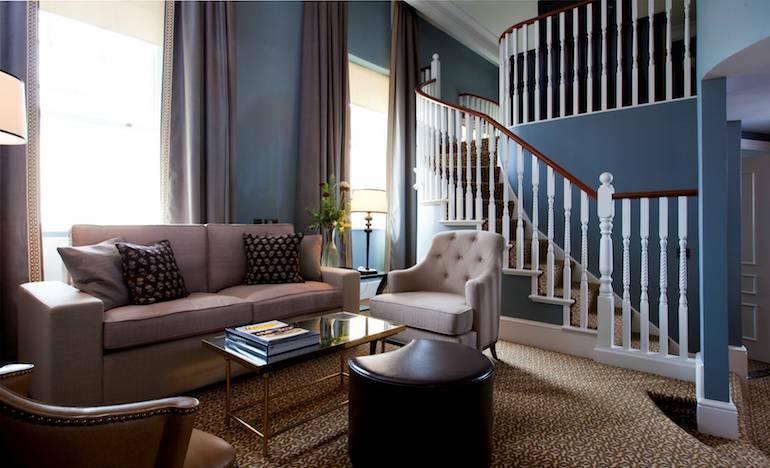 The third, and most important reason: have you seen The Gainsborough Bath Spa hotel? Nothing beats coming back to a cosy room and a warm bed after a long day out, and this is something that the 99-room Gainsborough Bath Spa hotel takes into consideration with every guest that walks through their very attractive doors. Upon arrival expect your room, no matter which room, to be ready and waiting. Think mood lighting and soft music playing; the most inviting reception to a stay. All of The Gainsborough Bath Spa rooms are 5* and include fantastic facilities and quality amenities with complimentary access to the Spa Village (which you don't want to miss). However, if you fancy treating yourself, explore their suits for exceptional services including your very own pillow menu. Yes, a pillow menu - we couldn't believe it either. We loved how The Gainsborough Bath Spa captures the cities heritage throughout the two building it occupies, both of which are Grade II Listed. They understand the importance of paying homage to the history of an establishment and its surrounding areas as well as the necessity to modernise the interiors to reflect contemporary designs. The Spa Village Bath does exactly this. The spa taps directly into the original, natural thermal springs, enriching the waters with nourishing minerals which are heated to about 35º. The Spa Village is set in a four-storey glass atrium with a design that resembles the Georgian Period. Filled with natural light, you can take to the village for steam rooms, saunas and a long list of lavish treatments. Wining and dining at The Gainsborough Bath Spa has, of course, been taken into high consideration. Head into the elegant and characteristic mirror-lined Canvas room for afternoon teas as well as all-day dining and a comprehensive wine and cocktail menu. Rumour has it they also host martini nights. The Gainsborough Bar is another fine hot spot drinking area where the bar staff love to be tested to create the most incredible cocktails tailored to personal taste. Naturally, every 5* hotel will have a restaurant worth a trip of its own. Introducing Dan Moon at The Gainsborough Restaurant. Explore more of The Gainsborough Bath Spa on their website. 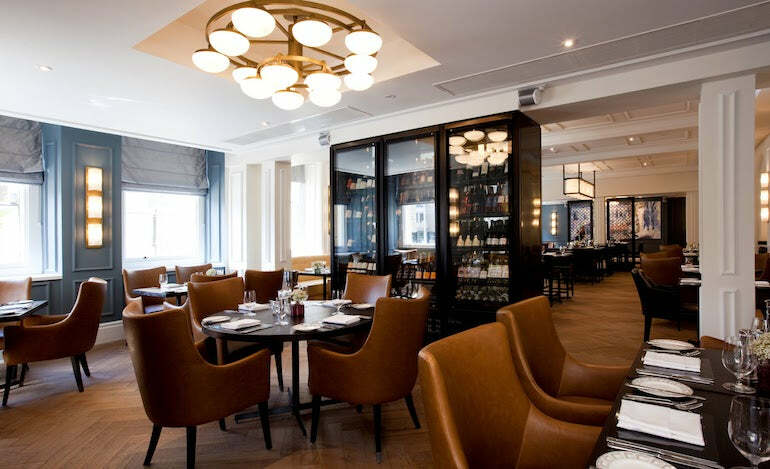 The popular chef Dan Moon takes over the restaurant at The Gainsborough Bath Spa for an innovative dining experience for both locals and tourists to delve into. The skills Dan Moon has aquired over the span of his career in the industry has seen him win plenty of awards and titles including three AA Rosette awards (trust us, that's impressive). We sat down in the restaurant with high hopes and empty stomachs, and we were not, by any means, disappointed. Set in a sophisticated space that encapsulates Georgian architecture, the restaurant is decorated with original artwork and a show-stopping wine cooler, flaunting their impressive collection. The menu presents fresh, seasonal and local dishes, serving up the best quality food the county has to offer. Pick from the À La Carte menu or the 6-course tasting menu if you, like us, are indecisive and want the best selection available. All of the waiters were attentive and beyond knowledgeable about the foods and the wines - a must-have with experimental dishes and extensive wine selections. The food itself truly reflected the awards that Dan Moon has previously earned; fresh, decorative and inventive dishes tasted incredible and were all individually presented perfectly. The Gainsborough Restaurant opens their doors to everyone, not just guests, so be sure to add this to your Bath weekend itinerary. Head over to The Gainsborough Restaurant website to view the sample menus and more.